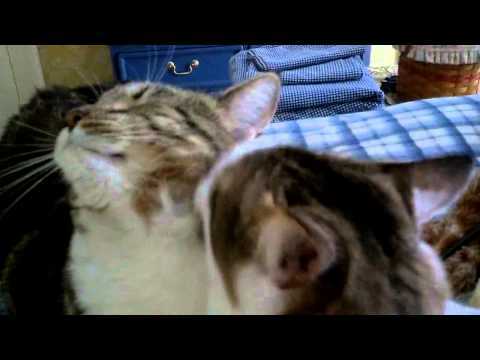 There are 6 cat videos tagged with cuddling. This is what happens when my cats realize they are being watched. 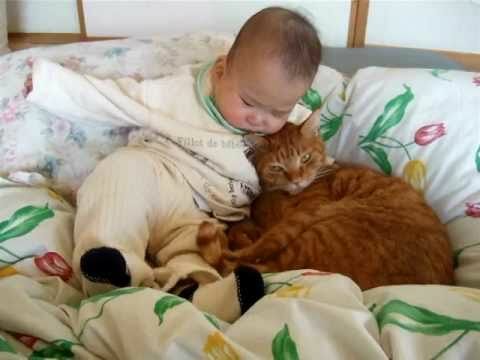 This cat can't get enough of this baby but the baby doesn't seem to mind. The adorable tabby has found a nice warm place to take a nap and has no issue that it's basically on top of a baby human. 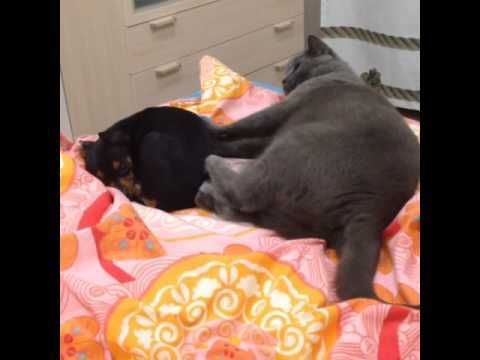 Why isn't this kitten getting any milk from this other cat? Well, the big orange cat is actually a male and the kitten is a little confused. Eventually the confused white and black kitten gives up and just falls asleep cuddled up to his friend.